Juice Bag? 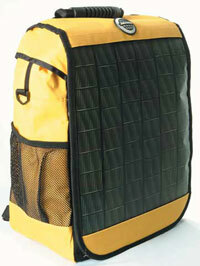 Solar Power Bag! the technology-ninja of today needs power. It’s not that he got no powers. But this time the source of energy is meant which powers all the gadgets you are carrying around. Solar Panel Weight 0.45 lb.